By Elsa Osorio, London & New York: Bloomsbury, 2003. Twenty-year-old Luz, an Argentinian, is on holiday in Madrid with her husband and new-born son. But secretly she has a mission—to find her real father. Carlos was a desaparecido—one of the many political activists in Argentina who literally 'disappeared' during the country's brutal military dictatorship in the seventies—while her mother, a political prisoner, was killed trying to flee the country. As a baby, Luz was secretly adopted by a wealthy couple, unaware of her true origins. 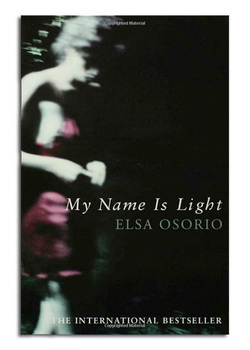 My Name is Light is a gripping, emotionally charged book, a powerful story about a young girl's quest to find her identity and to uncover the deadly secrets of one of Argentina's darkest periods. Read a full review of My Name is Light online. Click here to purchase My Name is Light.